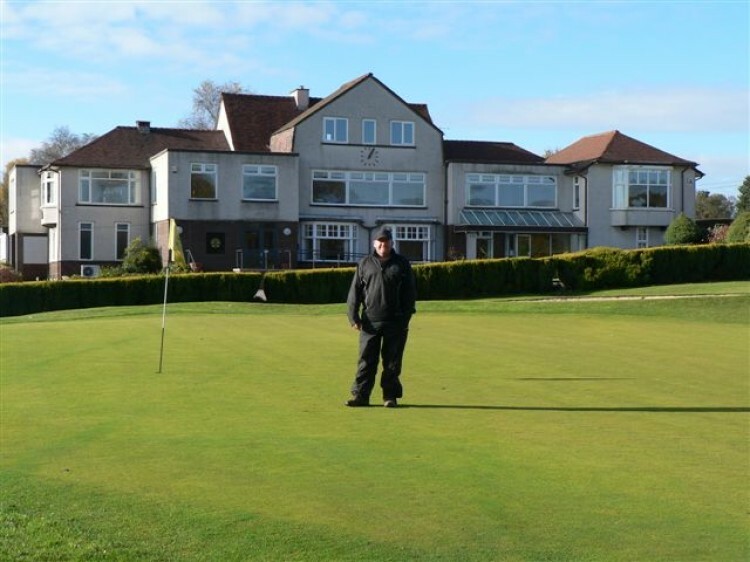 Following the successful installation of greens drainage on the first 9 holes of Bolton Golf Course in 2011, Duncan Ross contractors, based in Burscough, Lancashire has won phase two of the contract and is on course to complete the project in the next few weeks. Damian Byrne Head Greenkeeper is delighted with the work to-date. "Our greens are primarily clay based and have a tendency to hold the water." He said. "Although we already have carrier drainage in place, additional work was needed to install lateral drains to channel surface water into the main system. Duncan Ross made such a good job of the first phase, we were very happy to award them the contract for phase 2." Using drainage trenching equipment, the team from Duncan Ross have worked tirelessly in some quite challenging conditions to install the 80mm diameter drains along the greens to a depth of 600mm, out falling into the existing carrier drains. Care was taken to avoid the existing irrigation lines. Once in place all of the drains are backfilled with 350mm of consolidated 6mm-2mm stone and topped slightly proud of turf level with consolidated rootzone, to ensure a healthy layer before the original turf is replaced. Carrier drains from the greens to the outlet are backfilled in a similar manner but with more stone and less rootzone as a fairway drain. "They have done a very clean job" said Damian "The whole approach from start to finish has been professional. Every aspect including the initial tender, pricing and timescale has been open and accurate. The work has been conducted with the minimum disruption and as each green has been completed, Duncan Ross's team have ensured that all traces of the work are removed." Contractor Duncan Ross explains the way they operate: "This is about teamwork. We approach every job in an organised, efficient way. We put effective protection systems in place while we work, and use compact, low ground pressure equipment to minimise surface disruption. All spoil removed is tipped and graded locally wherever possible." "The greens are the now the driest part of the course." 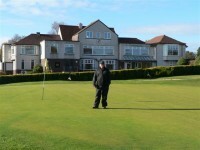 Said Damian "While the work was in progress the members have coped admirably on the temporary greens. We are now all pleased that it is being completed so quickly and cleanly. It has already made a massive difference to the quality of play on the greens." The remaining greens should be completed by the end of November and fully functioning in time for the winter weather. Originating in the 1960s from a background in agricultural land drainage, Duncan Ross Land Drainage Limited has taken these specialist skills forward into sportsturf, amenity, environmental and conservation projects. The company is now one of the leading nationwide experts in sportsturf land drainage, pitch construction, renovation and maintenance, environmental and conservation projects and agricultural land drainage.